Hi everyone! 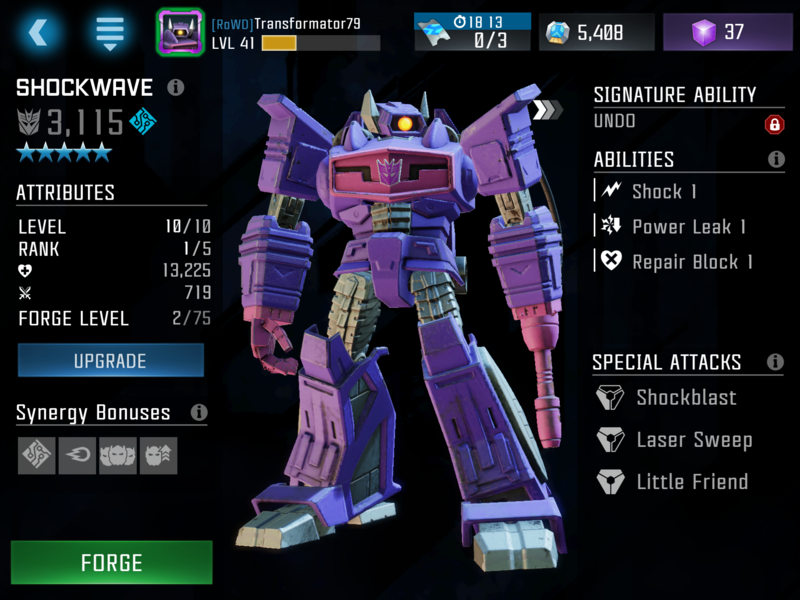 I recently got a 5* shockwave but I already had a 4* one at r4. So I’m planning to put the 4* one on my base. Can you guys suggest some good mods for him? Thanks. Unduped, he shouldn't be sitting on your base. Duped, then only when you have tech console, he can sometimes surprise enemies with his sig. Flase, put him on exofilter or RR. Anything can be wasted and most people do not bring KB at high levels. KB is also not the best at dealing with a duped shockwave because the more times you trigger his power bars the more chances his sig could activate. Also if you want to talk just about KB, Exo would prevent him from stacking power drain or shocks. It also prevents several other scouts from stacking debuffs. 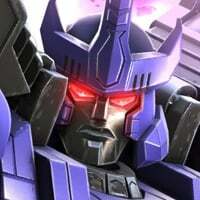 If you don't have Megatronus, Galvatron, etc. 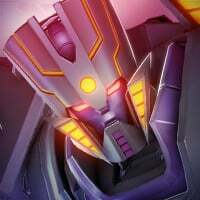 on RR then it's the best for Shockwave to keep triggering his sig or just to let him get in one s3 which does a lot of damage. 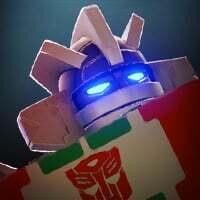 Tech Console is good but most don't have it otherwise LGM or Exo. 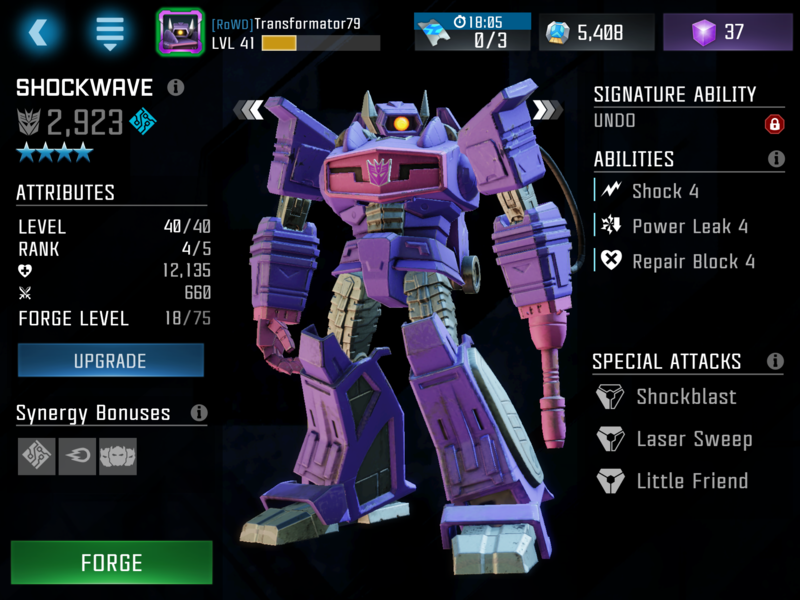 Shockwave is useless on base, but he rules while raiding. He can do some SERIOUS power drain and D.O.T. in the hands of a player who knows how to use him. A.I. 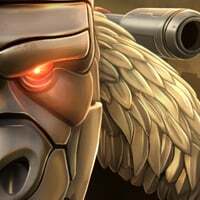 use him like a rag doll, and players know to dodge his specials and ignore his Undo ability. Try not to use him on Base Defense.